Turkey is currently the fastest-emerging market in Europe and the OECD. The average GDP growth rate in the past decade was five percent, the fastest among OECD countries, which grew at an average of 1.7 percent (see Fig. 1). The OECD estimates that Turkey will be the third highest growing economy after China and India by 2017. Such estimates shouldn’t come as a great surprise. Since 2002 Turkey’s economy has nearly quadrupled its GDP. In the same period, export volumes have more than quadrupled, amounting to around $170bn. Turkey is also one of the world’s biggest markets with a population of 76 million and a labour force of 28 million. It has the highest youth population and fourth largest labour force when compared to EU countries (see Fig. 2). Turkey is positioned as the geographic, economic and political bridge straddling both Asia and Europe. As such, it would be impossible for the country not to be affected by the number of issues in the Middle East. Nevertheless, it is expected that it will be relatively less affected than its neighbours, given its economic strength. Turkey continues to be a safe harbour for international investors. In the last 10 years it has attracted more than $100bn in foreign direct investment (FDI, see Fig. 3) and ranked as the 13th most attractive FDI destination in the world. In the first half of 2014 FDI increased by 28 percent and totalled $6.73bn. There are a number of other attributes that make Turkey an attractive investment point for foreign investors. The country has Europe’s lowest debt-to-GDP ratio at 35 percent, it is a high growth potential country with low household debt and it is going through several important infrastructure reforms. The Turkish economy is the sixth largest in Europe and 17th largest in the world. And in a couple of years it is expected to be a $1trn economy, much bigger than most of the European countries. This combined with favourable demographics, such as 50 percent of the population being aged under 30, creates strong momentum for the economy, and of course for the insurance market. Zurich Insurance Group entered into the Turkish market through acquiring TEB Insurance a local insurance company in 2008. It has since reaped the benefits of the country’s economic and structural growth. Important structural reforms have also been implemented in the banking sector over the past 10 years. These reforms had a major impact on Turkey’s resistance to economic shocks and crises. The structural reforms, hastened by Turkey’s EU accession process, have paved the way for comprehensive changes in a number of areas. The main objectives of these efforts were to increase the role of the private sector in the economy, to enhance the efficiency and resiliency of the financial sector, and to place the social security system on a more solid foundation. At the start of August, Turkey has its first ever directly elected president, after its existing Prime Minister, Recep Tayyip Erdoğan, won the presidential election, vowing to build a new Turkey. However, in broad terms, no change is expected in the country’s economic vision, which prioritises growth, unemployment, and structural reforms. The country is also under great infrastructure transformation, heading to 2023, with giant investments on its way. 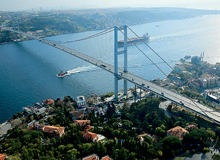 Projects include a third bridge across the Bosporus, a new Istanbul airport, and a high-speed railway system. With its young population and potential, Turkey is still one of the most exciting countries for investors, with the insurance market in particular one of the most attractive. Turkey’s life and non-life insurance markets are making profits that are leading to healthy growth in the sector, according to Fitch Ratings’ report Turkish Insurance Sector – Non-Life Back to Profit, Life Performance Steady. According to the Insurance Association of Turkey (TSB), out of the 59 insurers active in Turkey’s insurance market, 44 are either foreign-owned or partnered, pointing to a highly popular area of investment for foreign companies looking for new growth markets. The insurance sector is one of the biggest FDI areas in the country. Turkish insurers have benefited from a period of political stability and policy decisions and incentives that have encouraged savings and the use of insurance. The insurance market in Turkey grew by 22 percent per annum between 2001 and 2012. The sector is approximately a $10bn market and if you look to the fact that the insurance premium to GDP is about one percent, the penetration is still relatively low. The combined effect creates a very strong environment for further investment and, we can comfortably say, a bright future for Turkey’s insurance industry overall. When you take Zurich Insurance’s position in the Turkish market, we think that we are very well positioned in terms of our multi-segment, multi-product and multi-channel approach. We have a five percent market share when normalised for segments we do not actively participate in. Zurich Turkey is specialised in bancassurance, but also very active in other distribution channels. We have a wide coverage of distribution with approximately 2,000 sales points, including 1,200 bank branches and 500 agents and brokers. Zurich Turkey offers a wide range of products from retail to commercial and corporate, with approximately one million active customers. In the last two years the company has seen a successful turnaround. We have restructured to enable us to compete with international and local players. Although the growth is important for us, sustainable profitability is even more significant. At Zurich, we generate about $250m premium. The company has gone through a restructuring over the last two years with customers being the main focus point. World Finance has chosen our company as its Best Non-life Insurance Company in Turkey for two years in a row, which proves that we are on the right track in terms of the restricting programme. Our corporate responsibility strategy is an integral part of our overall strategy. It is about sustainable value creation, one of our core values, as set out in our code of conduct. We aim to create sustainable value for each of our main stakeholder groups by focusing on what we do best – actions we need to take to achieve our strategic objectives. Our mission is clear: to help our customers understand and protect themselves from risk. This mission is anchored in insurance’s core role: to transfer and manage risk. It is also an important issue for Zurich to be a responsible company as it is fundamental to our long-term sustainability to become the best global insurer as measured by our customers, employees, shareholders and the communities in which we live and work. In Turkey we also adopt the core corporate social responsibility (CSR) values of Zurich and we continue our work. In the last two years we have implemented a number of different CSR projects, especially to support orphan children. One such project is our continued support of Children’s Village. Children’s Village supports children in need of protection by providing a safe family environment for orphan children. Zurich employees as well as Zurich top executives visited the village for a one-day festival and – as well planting fruit trees – they played, talked and had fun with the children. The aim was to create a long-term, sustainable project that is managed by the children to provide fruit and vegetables for the village. Moreover, Zurich employees organised a fund raising activity to support education needs of orphans following the mine disaster, which happened in Soma, May 2014. We worked together with one of the most reliable and oldest education based foundations, Turk Education Foundation (TED in Turkish), to deliver funds raised by our employees to families in need. We are the insurance sponsor of the İstanbul Foundation of Culture and Arts (İKSV), leading art foundation in Turkey. Starting from 2014, Zurich is the insurance sponsor of İKSV with a long-term partnership. The foundation is leading the art and cultural life in Turkey with many projects and festivals. For instance, during the Istanbul Film Festival 2014, more than 135,000 people watched 357 international films. Our dedication to our CSR schemes is only matched by our passion for the insurance sector, which following a successful 2014 for the Turkish sector, is only going to improve even further heading into 2015.